Kompakt – Tri-Angle, Live At Robert Johnson, and more! – Chain D.L.K. Kompakt – Tri-Angle, Live At Robert Johnson, and more! 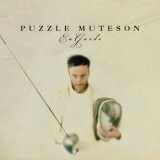 Following his 7″ teaser, Puzzle Muteson’s soothing songwriting is available now on his debut full length for Bedroom Community, “En Garde”. Analogue synth enthusiast Massimiliano Pagliara graces Live At Robert Johnson today with an album shaped by his broad music education and suggestions from Italo Disco pioneers. Matias Aguayo returns to Kompakt for the first time since his album “Ay Ay Ay” as he takes a turn toward Techno and House. The title track takes inspiration from his travels on the Comeme tour, “I Don’t Smoke” is his tour diary, and it’s one of the catchiest tunes you will hear all summer long. Expect this to ring through DJ sets the world over! DJ Jens Strüver and drummer Andreas Peters came together to form Kreuzberg. Influenced by minimal music and Krautrock, the duo creates their sounds using only live instruments and turntables. The only synthesized sound is the bass, and the result should not be missed. 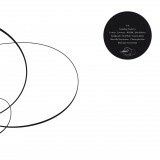 Dial sub-label presents their first compilation today. The deep house imprint showcases ten tracks taken from the last ten releases; it’s an essential collection. Kassem Mosse’s ambient-deep-analogue house project finds its way to Mule Electronic with “Northen Rae”, a chilled out yet interesting mixture of laid back soundscapes. 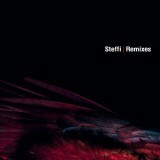 Several tracks from Steffi’s recent album “Yours & Mine” have been hammered by the heavy hitters since its release, now is your chance to be ahead of the game with the remixes on Ostgut Ton. After unleashing three unforgettable productions, Tri-Angle returns and aims to please once again with a debut from Holy Other. “With You” is another beautiful and spectral journey into downtempo witch-house. Hurry though, it will sell out. Marsen Jules delivers the long awaited follow up to “Herbstlaub”, six years after its initial release, “Nostalgia” out on Oktaf Recordings. The forthcoming Kompakt events have been announced for c/o Pop and Sonar. In Barcelona we will be taking over Nitsa club and then Mac Arena Mar the following day. More details here. Then one week later, we will be celebrating this year with c/o Pop here in Cologne at the riverside nightclub Bootshaus for “Am Anderen Ufer” presenting a massive Kompakt lineup! After reading the event details, head over to WolfgangVoigt.com to see his next video: “Du Musst Nichts Sagen” (Doppel Voigt Mix). 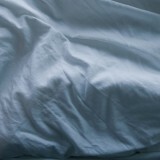 “En Garde” heralds a haunting and essential new voice, beautiful, earned and yearning. 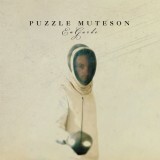 “En garde” is a strange, comforting and alarmingly personal record. 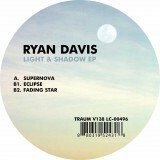 A superb voyage of disco and house transcendentalism. File under: Italo Disco, Synthpop & Chicago House. 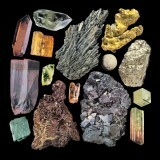 Aguayo takes it back to the floor with what potentially could be his 1st obvious foray into the world of house music. 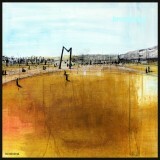 Kreuzberg is the project of drummer and composer Andreas Peters and DJ Jens Strüver. After 10 vinyl only singles LAID releases an essential House Music selection for the 1st time on CD. This complex record shows that Ryan is a real tastemaker but also a real club rocking musician. 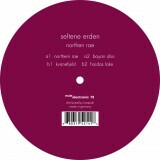 “Seltene Erden” can be described as a mix of Ambienthouse, Deephouse, Analogue dance tracks & Ambient. 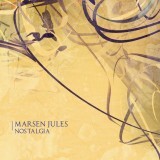 With “Nostalgia”, Marsen Jules now delivers the eagerly awaited follow up to “Herbstlaub”. 3 special remixes, each re-interpreting a key track, courtesy of Staffan Lindberg, Lone & The Analogue Cops. Holy Other has created a sound that’s as melancholy as it is beautiful, spectral & slightly at unease with itself. 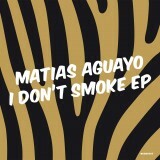 Hear: Check Out Matias Aguayo’s New Single “I Don’t Smoke”!